Radio provides a direct response. Why Radio? Here is some information to help you realize that radio is for you! Radio is truly the best mobile medium. Whether your potential customer is in their new car, at work or at play, radio is there. It's the advertising force that your customers take with them wherever they go. No Media Reaches More People, More Often for LESS! In your personal life, when you have something important you wish to communicate to someone, which method do you prefer? To show them a picture? To write to them? Or would you prefer to talk to them using the intimacy of emotion of the human voice? Radio sells with intimacy by using the human voice to convince. Radio can make your ad shine with "Theatre of the Mind"
The impact of your ad is magnified by the emotional and motivation power of audio. Research has demonstrated that audio messaging has more impact on consumers than either video or print ads. You can have a 100-piece symphony orchestra in your ad, an elephant, a chorus, a laughing child or a long song.. radio can do all of that. With emotion-evoking sounds, radio's theatre of the mind makes your commercial stand out from the rest! Radio devotes less then 1/5th of it's time to commercials reducing the amount of clutter. Radio Advertising Costs have grown less then any other major form of Advertising. Radio's ability to offer targeted advertising sells. You cannot pinpoint advertising in the broad reach scattershot newspaper or print medium. Radio's unique targeting ability inevitably saves you money and gets you the customers you want. With radio advertising you are front and centre in the listeners attention span when your ad is on the air. You're never buried on page 39 and you're never surrounded by your competitor's ads. With radio, you are always on the front page. Passive forms of advertising simply list merchandise or tell you where a product is available. Radio is an active medium capable of stirring emotion, creating demand, and selling your product or service. Today's hotly competitive marketplace demands an active medium. That pulls your customers in and creates the environment that inspires them to take action & buy! Radio's strength is brand building which helps to increase your customer base. Compared to the cost of other media local radio advertising will reach a similar sized audience with the same frequency at the fraction of the cost. It's the dominant out-of-home media with the ability to reach 92% of your local consumers each and every week. When radio advertising is included in your plan it boosts brand recall and brand preference. In Fact, the engagement levels for radio advertising (the percentage of people who actively pay attention is by far the highest of any mass media. 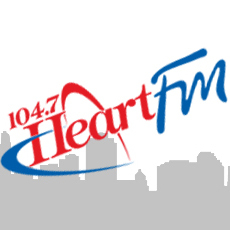 Click Here to Return to Heart FM Working for You! Call 519-537-8400 to be on-air and online today or contact our maketing team here!